﻿﻿﻿The home of the Official Tottenham Hotspur Supporters' Trust. Welcome to the home of the Tottenham Hotspur Supporters' Trust. We are an independent, not-for-profit membership organisation run by fans for fans. We aim to ensure fans’ voices are heard at Club and national level. 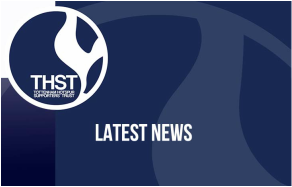 We work with Spurs fan groups across the UK and the rest of the world, and alongside national supporter organisations Supporters Direct and the Football Supporters Federation. THST is run on a day-to-day basis by an elected board of fans. Elections are held every year. All board members are volunteers, which means they are not paid for their work, and give up their own time. To preserve THST’s independence, board members receive nothing for the work they do. We work hard to ensure a fan perspective is considered in all decisions. We base our approach on the regular surveys we carry out, on the feedback we get, and on our own experiences and discussions with fans. We are Spurs fans first and foremost, but we believe the issues we face are similar to fans everywhere. So we are committed to being part of a growing network of national and international supporter groups. Our main areas of work at THFC and nationally are ticket pricing, fixture scheduling, policing and safety, and governance. Our remit extends to all off-field matters. And we work with the local community to strengthen ties between the Club and the area in which it is based. We have established a successful dialogue with THFC. 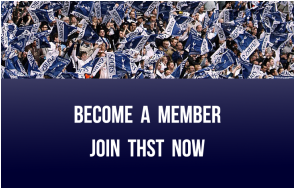 To continue doing so, and to build on our achievements so far, we need as many Spurs fans as possible to join us. If you have a question, particularly about ticketing, it is worth checking AskSpurs or our timeline before you ask, as your question will often have been answered. We do respond to people who contact us, but please remember we do not work full-time for the Trust. We can't engage in conversation by DM and, owing to the volume of DMs we have been receiving, we now tightly restrict the accounts we follow. We use our Twitter account to inform and assist, so we won’t clog your timeline with RTs. We also run a Facebook page and try to engage as much as possible with fans there, within the constraints of being volunteers. Ran the Stop StubHub campaign, ultimately resulting in the ticket exchange being taken back in-house by THFC from the 2017-18 season. Secured the introduction of a Young Adult category of tickets for 18-21 year olds from the 2018-19 season. Secured support from THFC for safe standing and lobbied MP's for parliamentary debate.